The art of mechanical engineering involves anything that moves, from complex machinery to your own bodies. Mechanical engineers are involved in the development of various products and services that provide movement, functionality, design and purpose. These engineers also learn about solid and fluid mechanics, design, instrumentation, thermodynamics, heat transfer, and more. The field of mechanical engineering as a broad focus area, so that everyone studying it will find something that intrigues them. Not all mechanical engineering is hard, in fact, there are many innovations that come to fruition every day that are not only simple and easy, but fascinating as well. There are many mechanical engineering projects that vary in difficulty; some are easy while others are more tricky and complex. All of them, however, are fun to build and marvelous to behold when completed. There is never a dull moment in mechanical engineering. This is the introductory chapter to mechanical engineering. With easy projects, the requirements needed to build interesting gadgets are straightforward, easy to understand, and simple to follow. These are not pre-made creations, so you are still required to assemble the projects yourself and be amazed by what you can learn in engineering. A mouse trap can be made simply with just a series of wooden sticks and a rubber band. Motor skills are required for a sensitive trigger so that when you agitate the tip of the trigger just right, the arm will force itself down. This project is fairly simple, and requires no electronic or engineering knowledge. Rube Goldberg Machines are named after the famous cartoonist, that devised everyday contraptions to help do ordinary tasks, such as push a button for you or pour a glass of milk. Gears, fans, pulleys, platforms and more are involved with the creation of these “machines”, and the legendary ones are just a marvel to watch. Your machine can be as long or as short as possible. These projects are still fairly comprehensible for most students looking into mechanical engineering, but they are a little more rigorous and time-consuming. You will learn a richer understanding of how materials can be reinforced to better enhance the purpose that they serve. In creating a prosthetic hand or claw, you can learn about balanced and unbalanced forces, form and function, and how the hand works to do tasks, like grabbing objects and making gestures. With plastic or metal appendages, you can put together a working hand, while operating each finger individually with your own actions. Hydraulic lifts are not only to support structures, but to lift heavy objects, such as cars and even people who are in wheelchairs. They work miraculously to lift up hundreds or even thousands of pounds of weight. Learn about the study of hydraulics by assembling this electronic-less, yet complex contraption with steel and epoxy. The further you delve into mechanical engineering, the more technology your will learn, and the smarter your technology will get, as well. You’ll be shifting away from fundamentals and heading toward serious innovation and engineering, from technologies that are fairly new to ones used thousands of years ago. Fidget spinners may be so 2017 but the concepts learned from this project are timeless. In this project, you will be exposed to basic principles of servo motors and Arduino components. Trying to conduct an experiment out of this world? Alright… maybe not out of the world but with this project you can measure data in the stratosphere. In the video below, you can see what a group of 9th graders captured by equiping a weather balloon with a 360 camera, Arduino data logger, tardigrades, and 2 GPS units. Mechanical engineering in its professional forms are never meant to be easy, and our more advanced projects are not meant to be pushovers. But when you get to this point in mechanical engineering, you are sure to have a lot of potential in the industry. Everyone loves the robotic arm project! There are many versions of this project but every list should include a robotic arm that can pick up objects on command. In this tutorial, see the step by step instructions for creating a remote controlled robotic arm at home. Automatic pet feeders allow you to place pet food in a bowl in a certain time without any effort required by you. With a source of power, like an old VCR, you can offer a pet a gravity-based food storage dispenser. This allows a certain amount of food to be poured into a dish or bowl twice or three times a day. It’s a simple engineering device that brings forth plenty of innovation for pet owners. With all the skills and knowledge that you have learned up to this point, you should better understand how to build, design and program complex technologies with more features, in addition to ones that are more useful. 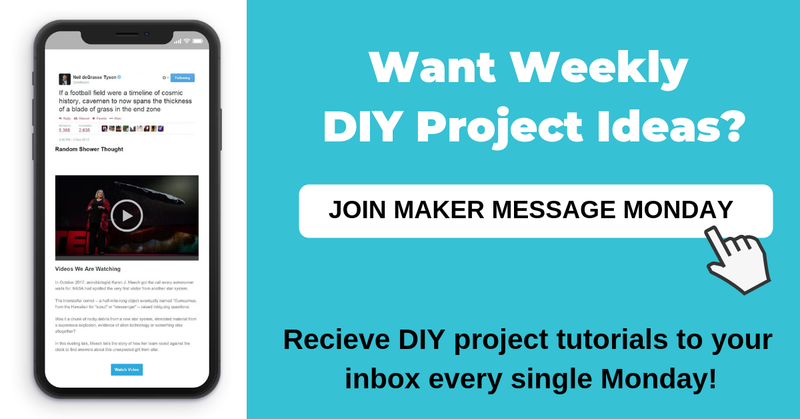 These projects are much larger in scope and more purposeful in nature, and you will learn how to use additional components in products, learn about circuitry and learn how to create and utilize commands on an advanced scale. In this tutorial, we will learn how to measure the angle of inclination of robots. Using the Arduino Pro Mini, ultrasonic distance sensor, and many other advanced components you will learn how to build a robot that can avoid obstacles and remain balanced. With this tutorial, you will learn how to build a robot that climbs stairs. The main components of the robot are its front leg assembly, back leg, and the means for shifting weight between the two legs. These projects might not be the kinds of projects that Elon Musk is currently developing, but they are ambitious in their own unique ways. You will feel a great sense of satisfaction after completing them, and you can certainly feel confident to take on the most complex of engineering projects. Using Drones equipped with light sensors and LED strips, this group of hackers animated the space drones and arranged them in a game formation using a specifically developed autonomous flight software. On the ground, the player sits on the laser gunner station which moves across rails and shoots laser beams. The engineering industry may seem very intimidating, as you likely could never imagine yourself building a hi-tech appliance or a robot that can do something remarkable. Don’t jump to conclusions. Put together a long-term plan. If you start out small and work your way up at your own pace, you can think of new innovations and technologies that the world has likely never seen before, and put yourself on the fast track to mechanical engineering success.